If your kitchen's overloaded cabinets could qualify you for an episode of 'Hoarders', we are here to help. Today's cabinet manufacturers have created ingenius storage solutions to make your new kitchen a thing of beauty AND organization. The key is to identify an experienced kitchen designer who will listen closely to your needs, assess your space and budget, then select a quality cabinet manufacturer whose solutions will best meet the goals of your kitchen renovation. 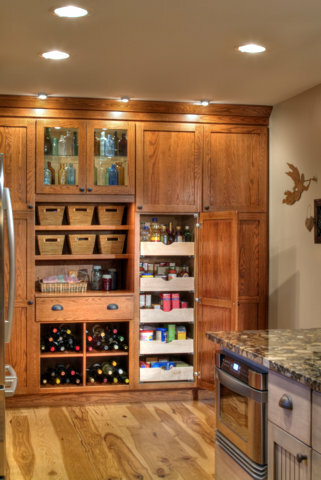 Greenfield Cabinetry's custom cabinetry is featured and can be easily customized by General Woodcraft for your own supremely organized project.